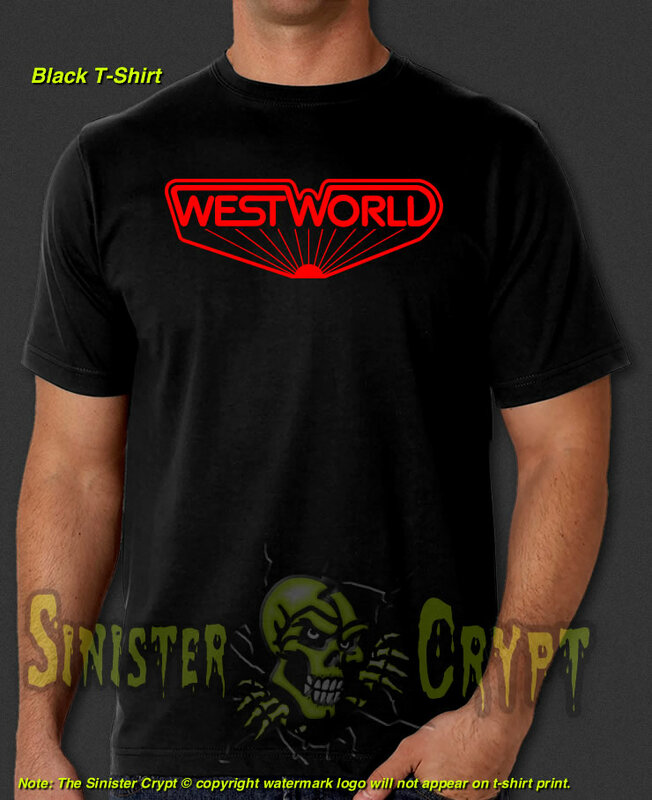 Westworld 1973 t-shirt. 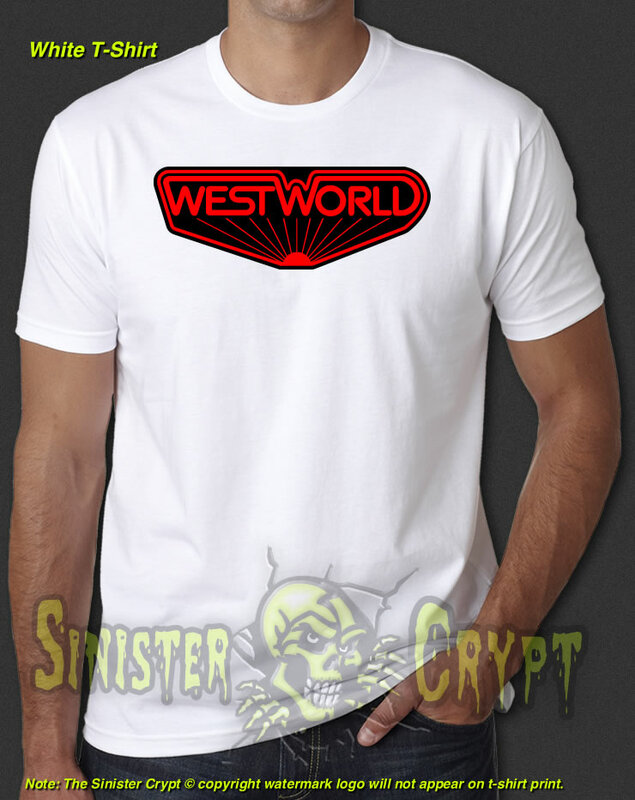 Westworld is a 1973 science fiction western-thriller film written and directed by Michael Crichton and is about robots malfunctioning creating havoc and terror for unsuspecting vacationers at a futuristic, adult-themed amusement park. Westworld stars Yul Brynner, The man in black, as an android in a futuristic Western-themed amusement park, Richard Benjamin and James Brolin are guests of the park. Makes a great gift!